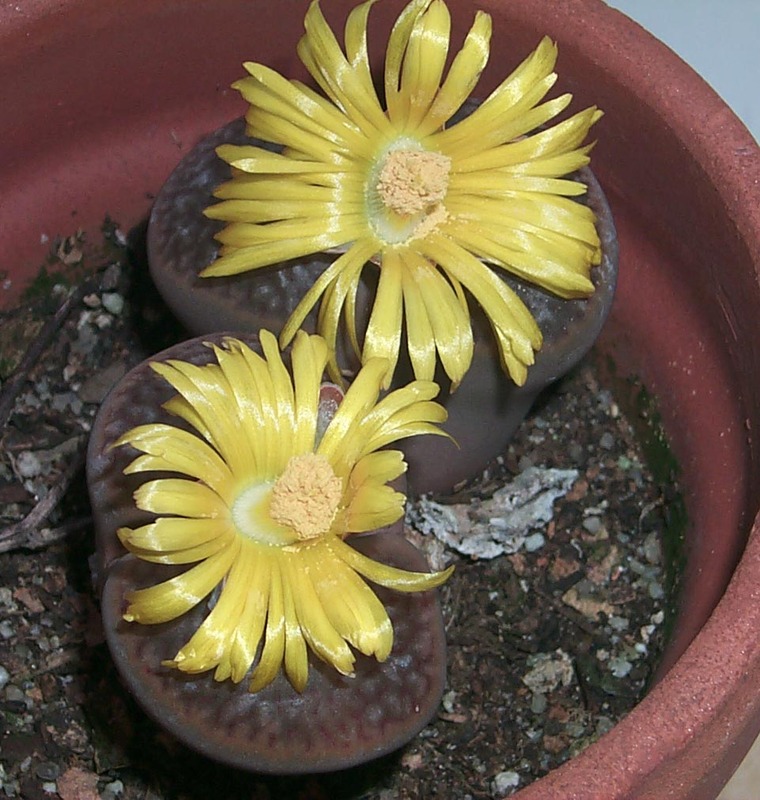 This is one of those little 'Living Stones'' available in every nursery. This one flowered faithfully every fall for several days, during the day time hours. This year the flowers stayed open through the evening to about 9 pm (? ), for me to enjoy.